Taraba State University, TSU O'level Results Upload Notice to Prospective UTME and Direct Entry Students for 2018/2019 Admission Exercise. 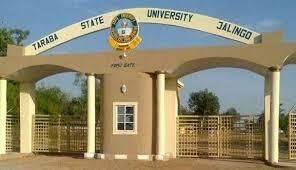 Authorities of the Taraba State University, Jalingo wishes to inform all prospective candidates seeking admission into the University to kindly update their 0' level result(s) on JAMB portal. Kindly visit the University CBT Center or any JAMB Office or Accredited Centers nearest to you for this process. Any applicant who fails to do this update will not be admitted. Only for admitted candidates with A/R.